← Learning Center is Upgraded! There are about 16,500 people groups around the world each with it’s own culture or subculture defining and describing it’s members in unique ways. One such way that cultures differ around the world is how they attach meanings to colors. Did you know that the color Black represents death in North America but more often represents celebration in Asia? Did you know that success is Green in Africa but Red in Japan? Check out the infographic below to find out more about color in different cultures around the world. This infographic was designed by AlwaysWithHonor.com and David McCandless. It is used under the license: CC BY-NC-3.0. Coming in the Future: A new OC Learning Center course to help missionaries begin their cultural acquisition while they’re still in their home countries with activities, questions, and suggestions. 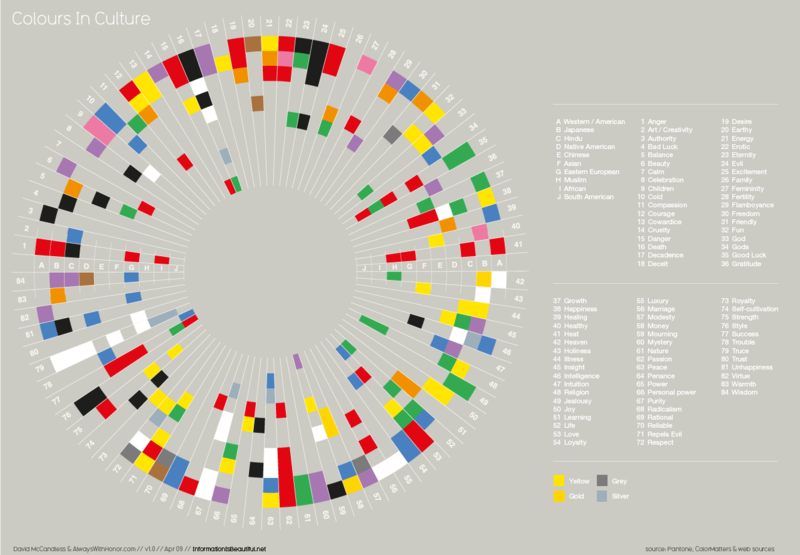 In the comments below, what surprised you most from the Colors in Culture infographic? This entry was posted in General and tagged color, culture, infographic. Bookmark the permalink. It is clear motivation to seek to learn the principle that others “see” according to their cultural orientation. My biggest surprise is that with all the good training and 27 years on the field I still need the reminder. Let me know when the learning modules for cultural acquisition are ready. We try them out and give feedback. Thaks for your work on this. I had to think awhile about the Western color for “healing” being blue–then I remembered that all Hospital signs on the freeway, etc., are blue. Interesting what I miss in my home culture. Life is represented by red in American, Western, and Japanese, and Native American culture but not in Chinese or Asian culture!